Biological Production Division is the sole producer of life saving vaccines and anti-sera for immunization & therapeutic use to control the infectious and non-communicable diseases in the country. This division is the major revenue-generating components of NIH. 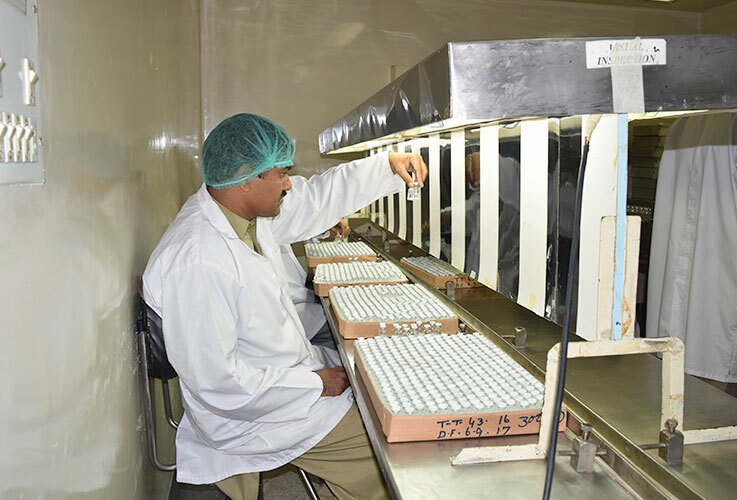 The revenue generated through sale proceeds of vaccines and anti-sera is utilized not only for the recurring expenditures of this division but it also supports operational expenditures of various other divisions and sub-divisions of NIH. Major vaccines production include allergy, Cholera, Typhoid, Measles, Rabies and Tetanus vaccines. Similarly anti-sera produced against rabies virus and snake venom. Oral rehydration salt is also produced to counter the diarrheal diseases. All the products are available at affordable prices to the people of Pakistan.